Home of the Best Subs on the Coast, this profitable coastal Maine deli and convenience store has served generations of loyal customers since it was established in the 1930s. Located on busy Route 1 close to the seaside village of Bayside, it offers a full line of wine, beer and groceries but is best known for its signature subs, pizzas and salads. Ice-cream take-out window and deck seating, new basement in 2015. 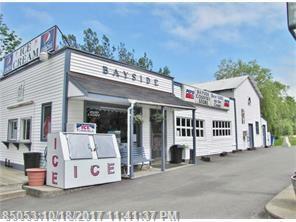 Asking price includes land, building and all equipment, owner financing available.